Take a mass, any mass. Compress it into an ever smaller volume. As its density rises, the gravity near its surface with increase. Squeeze it into a small enough volume and the surface gravity will become so strong that nothing can escape, not even light. Squeeze anything into a small enough volume at it will become a black hole. The defining feature of a black hole is its event horizon, which defines the volume of no return. But the event horizon also marks a region where our basic understanding of physics breaks down. It is perhaps the greatest paradox of modern astrophysics. 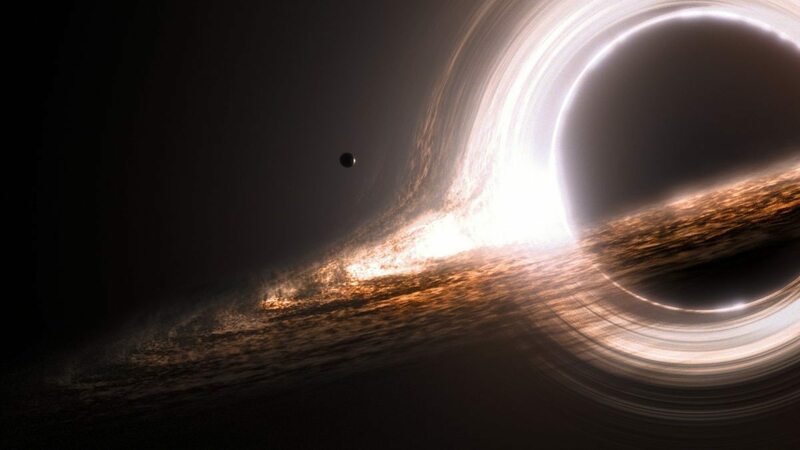 The event horizon of a black hole is often defined as the point where the escape velocity becomes greater than the speed of light. It turns out the truth is a bit more subtle. Mass curves space around it, and for a black hole space is curved to the point where it basically folds into itself. The event horizon doesn’t mark an escape velocity, it marks a region that is isolated from the rest of the Universe until the end of time. The laws of physics conspire to keep you trapped, and you could no more escape a black hole than you could walk backwards in time. However the existence of a one-way path to oblivion flies in the face of the most basic tenets of physics: phenomena should be predictable. If you throw a baseball in a particular direction at a particular speed, you can figure out where it’s going to land. Just determine the initial speed and direction of the ball, then use the laws of physics to predict what its motion will be. The ball doesn’t have any choice in the matter. Once it leaves your hand it will land in a particular spot. Its motion is determined by the physical laws of the universe. We can also work backwards. Knowing the speed and direction of the ball we can work out where it was in the past. If that’s true, then knowing something about the Universe now allows us to determine its past and future. But an event horizon breaks that rule. Once something crosses the event horizon, all you can possibly know about the object is its mass, charge and rotation. Was it a car or a spaceship? No idea. What path did it take to enter the black hole? No idea. All that information we’re supposed to know about the object, seems to simply disappear. This is known as the information paradox. Now some of you might point out that quantum mechanics isn’t deterministic like a baseball, so perhaps information isn’t conserved after all. But it turns out that quantum theory does conserve information, it simply conserves the probabilities of certain outcomes. Knowing the state of an object we can still predict what it’s likely to do next, and what it likely did in the past. But it’s possible that quantum theory might provide a way out of the information paradox. After all, Stephen Hawking showed that quantum theory allows matter to escape a black hole through Hawking radiation. If matter radiates from a black hole, perhaps it also allows information to escape the black hole. Unfortunately quantum theory isn’t an easy fix. Hawking radiation as it is typically defined is completely random, so while matter and energy can escape a black hole, information can’t. Theoretically you can make Hawking radiation non-random, but doing so turns it into an intense firewall near the event horizon. This flies in the face of the principle of equivalence, which says that a small region of space near an event horizon shouldn’t be any different than a small region of space anywhere else. Thus trying to solve the information paradox gives rise to another problem known as the firewall paradox. So how do we solve this problem? The short answer is we don’t know. Lots of very smart people have tried to crack this problem, and while there are some interesting ideas there is no definitive solution. To really address this issue will require a quantum theory of gravity, which we don’t yet have. There have been some arguments that the way around the paradox is to simply declare that black holes can’t exist, but now that we’ve detected gravitational waves we know they absolutely do exist. There’s no easy way around these paradoxes, and until there is, event horizons will remain a clear marker of the great unknown. Miss the beginning of this series? It all starts here. The firewall paradox still confuses me, as I don’t understand why information transfer requires a “firewall”. Is it because the virtual particles are changed into a pair of real particles? Or why does this require that the ‘firewall’ space have energy? maybe answer for info paradox be white hole if he exist information only change hes place from one part of universe to another ?? question His latest ideas deal with computational complexity with information in his latest lectures and publications. 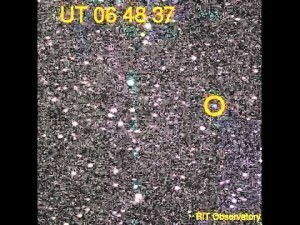 In this blog you refer to your excellent article “Black Holes Tell No Tales. Or Do They?” of August 31, 2015. In the meantime Stephen Hawking has made the “Black hole soft hair” conjecture: low energy quantum excitations in degenerate vacua release information when the black hole evaporates, solving also the firewall problem. However, a quantum gravitational mechanism for all this is still missing. Sorry, this comment isn’t about the topic of this article, but I don’t know where to put it. I believe it is too bold a claim, but it’s interesting what’s behind it. I’m pretty suspicious of this finding. At the very least. it should be independently confirmed. Does anyone know what sort of track record this team has, in terms of what they’ve published up to now?